Cycle Helmet Camera contour hd bike sports best quality option! 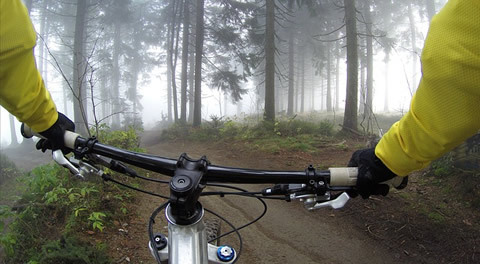 For mountain biking a small cycle helmet camera is ideal for recording your downhill trails and sharing with friends. Mount it to your helmet, your chest or your handlebar. Capture the exciting action in crisp, colourful full HD. When out with your friends follow behind them and feature them in your footage. 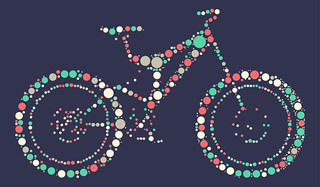 Adding a person riding in front of you can make the video more appealing to watch. The WiFi remote control makes it easy to start and stop the cycle camera, so you won't miss the best sections of trail. You can mount the remote control to your handlebar or wrist. If you are doing a long trek type ride you can set the helmet camera to take photos at regular intervals. This is good when you want to include the scenery, and photos of the rest of your group in action. You can set the cycle camera and let it run in the background. This way you don't have to keep stopping and taking it out of your backpack to take photos, as you would with a conventional model. The included range of mounts lets you mount it to different parts of your bike for unique viewpoints. You don't have to be a daredevil mountain biker to get the most from a cycle helmet camera. For road cycling a action camcorder is useful road safety tool. If you are involved in a traffic incident or crash, the footage can provide important evidence of what happened. There may not be any witnesses around to see what went on. For this purpose you only need to keep the last few minutes of video. With the loop recording mode you can leave the headcam running the whole time, until the battery runs out. It can record up to 5 minutes in a continual loop that is overwritten. This means you do not run out of storage space on your micro SD card. You must ensure that you stop the film rolling if there is an incident, so that you retain the important last few minutes. The sports cam is also good for recreational photography, taking photos and videos of scenic passes and of the fellow cyclists in your group. 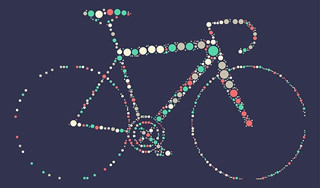 With road cycling there are less vibrations to worry about compared to mountain biking and BMX. The smooth footage is more watcheable when there is scenery around, and the efficiency of the road bike gives a strong sensation of speed. It makes a good addition to a group ride, and sharing the photos and videos with your friends helps relive the memories in years to come. Videos can be used for road safety or just for fun.